LAYOUT/EQUIPMENT: Space is no issue! Start small or big, it´s your choice. Have a look at the layout/equipment-suggestions below or on this link: Layout solutions and Equipment Selection. Contact our design service team. 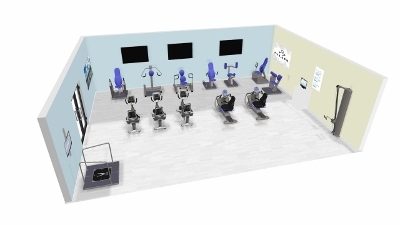 We can help you plan and realize training facilities that work. EXPERIENCES FROM COLLEAGUES. Get to know some of our wonderful customers below. 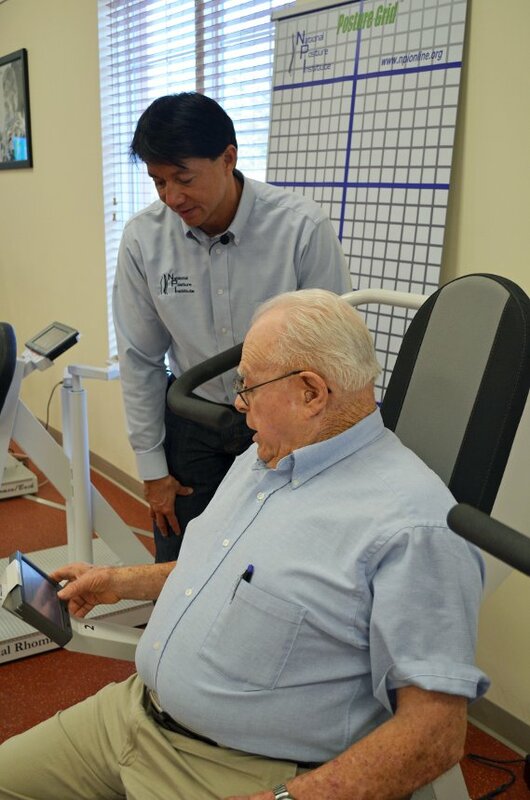 Earlier this type of training is regarded as dangerous for the cardiac patients, however, the research showed that it is safe and effective to do this kind of training if the training is properly prescribed and operated. Since Cardiac is related with many types of life style disease, its prevention will save the medical and insurance cost. 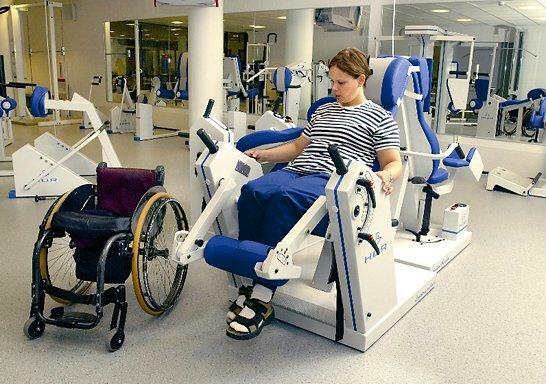 The Käpylä Rehabilitation Centre in Helsinki, Finland, works with people who suffer from spinal cord or brain damage, caused by accident or by illness. "HUR's Easy Access Line was developed in conjunction with the Centre, so it was an obvious decision for us to install HUR equipment when the facility was refurbished in 2002", says Harri. "Working in partnership with HUR has been extremely easy; they listened to our requirements and incorporated them into the development of the Easy Access Line". 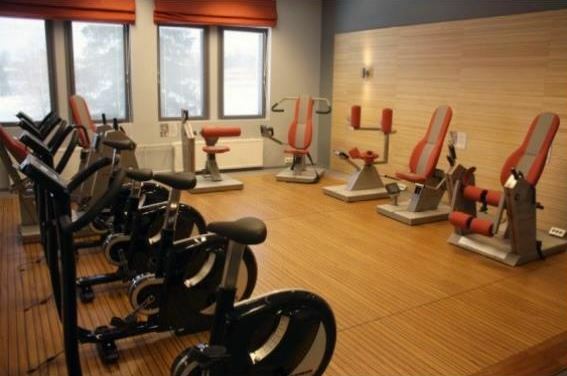 Käpylä Rehabilitation Centre has both HUR Easy Access and Rehabilitation Line equipment. Users and staff have commented on its ease of use as well as the size and location of adjustment buttons. Other positive features include range limiters, the near zero starting resistance with step less adjustments and the lightweight, compact nature of the machines. 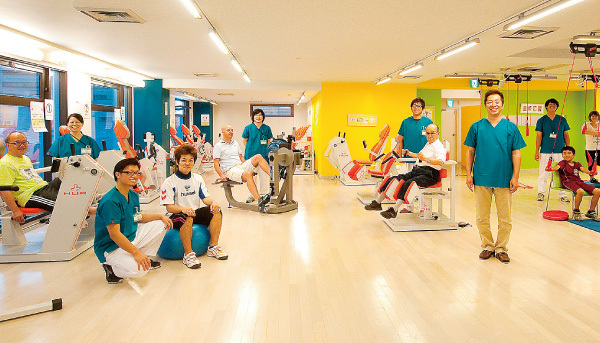 In Sunpu-no-mori facility, more than 30 HUR equipments are used daily for the injury prevention and rehabiltation. In this facility, 1 medical doctor, 11 physiotherapists, 2 occupational therapists, 1 speech therapist, 3 exercise instructors, 2 nurses, 10 care assistants and 2 medical social workers are working. 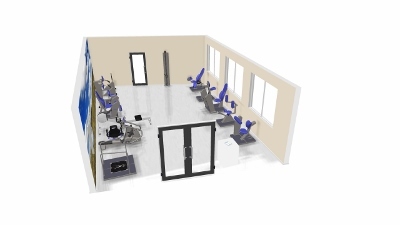 According to Mr. Saito, who is a physiotherapist and also a FIFA+11 instructor, the mission of this studio is "to understand the physical condition of each patient and see how effectively each joint and muscle is functioning. First we make a test and analysis, and then will plan the training programs for the individuals." 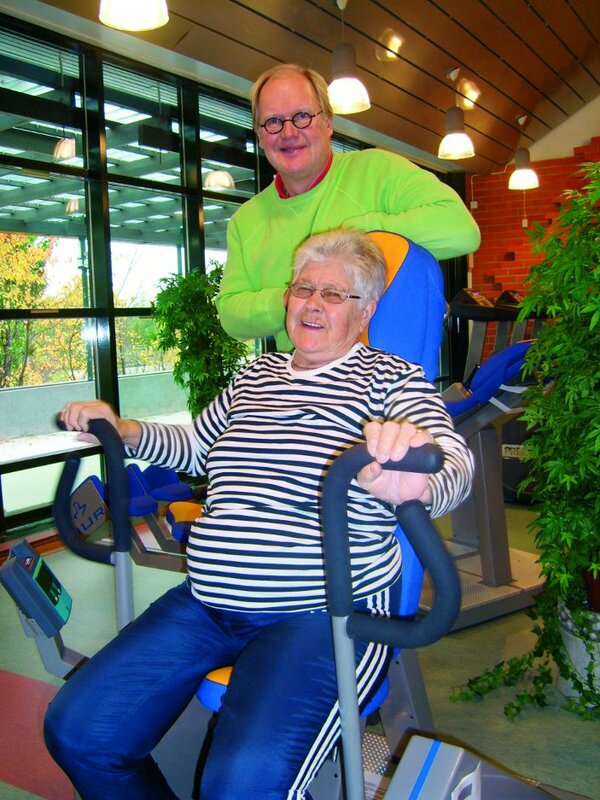 The Reaktiva rehabilitation facility in Zagreb, Croatia focuses on the continuation of rehabilitation for adults. This is mostly on the development of psycho sensory motor function after spinal column lesion. The clinic offers an environment where people with physical impairments are encouraged and guided towards a new beginning, stimulated by what they can - rather than cannot - do, advancing their activities and raising self-confidence to achieve greater levels of independence in everyday life. Reaktiva personnel were impressed by the recommendations of the HUR team and found these particularly relevant to their clients’ needs, including the near zero starting resistance and range limiters. They liked HUR’s air resistance system and safety aspects as well as the fact that it works silently. This helps to maintain a peaceful environment that reduces distraction and aids communication. 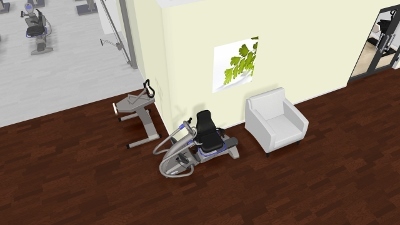 The compact nature of the equipment coupled with the dual exercise facility of some pieces meant better functionality than anticipated was achieved in the restricted space available. Everyone at Reactiva, both patients and staff are very satisfied with HUR. 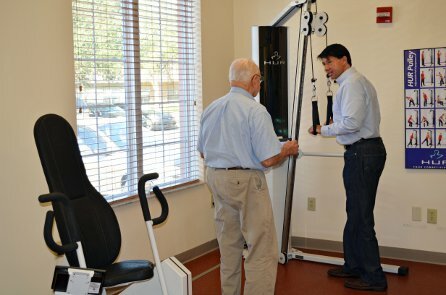 They find it easy to use and like the amount of adjustment, which increases their ability to meet the requirements of individual patients. Abilities Centre is a fully accessible, state-of-the-art multi-purpose facility that is committed to the development of an inclusive and integrated environment, where respect, understanding, cooperation, innovation, and education form the core values of the facility and the people within. "The modern sedentary lifestyle is keeping physiotherapists busy. 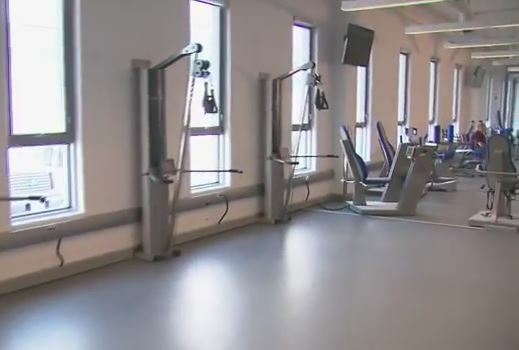 Neck and shoulder problems are escalating and Physiotherapists and Doctors are countering the trend by setting up exercise facilities. 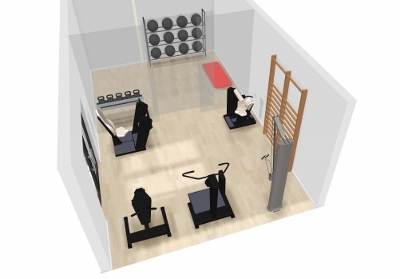 The aim is clear: To provide a possibility to exercise for those who don’t feel comfortable in a traditional gym. One of these is Injoy-Med in Vreden, in 1997 we bought our first 3 HUR machines", explains Ronny Groeneweld the physiotherapist and owner. 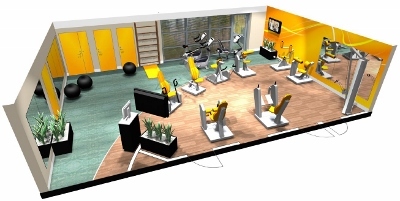 "Each year we added more and by 2001 we had 8 machines in our 60 sqm exercise room. When more space became available in 2003 we expanded and installed a full line of the HUR Smart Card machines.That really got things going. The system allows us to follow up every individual person even if our physiotherapists are not present all the time. Today we are 9 physiotherapists and our Club has more than 700 members says Mr Groeneweld. “Our collaboration with HUR and the University has given us a theoretical framework and a more structured approach”. 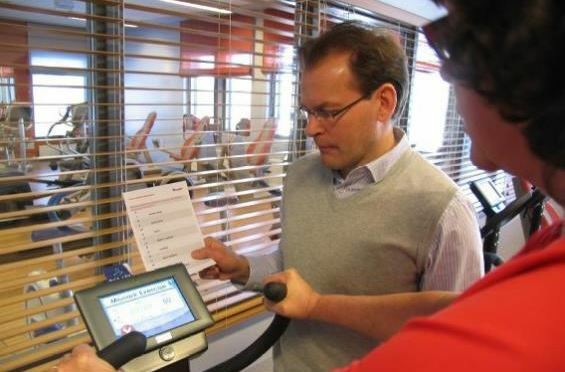 Pekka Nurmi, Director of the Medirex Rehabilitation Clinic. “We have worked with seniors for many years and preventing falls have been one of the main concerns” explains Pekka Nurmi. 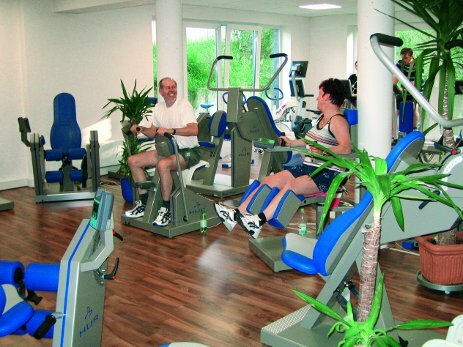 The Reha Tagesklinik im Forum Pankow rehabilitation facility in Berlin, Germany was founded in 1995 to provide ambulatory rehabilitation with professional doctors. In 2000 it was expanded to incorporate a clinic with consultation rooms. Now the staff team encompasses physiotherapists, sport therapists, masseurs, psychologists, nurses, therapists and social workers who treat people with orthopedic, neurological and geriatric diseases. 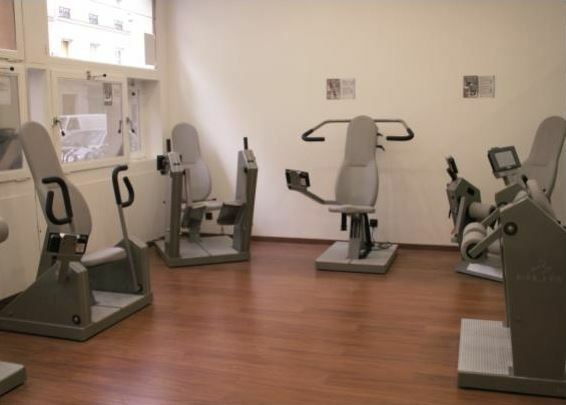 In Paris, the increasing price of m2 restricts the size of a practice, In this context, they chose HUR machines because they have a dual function. 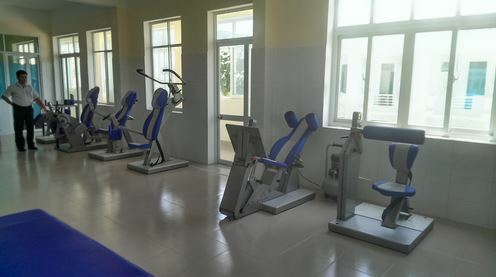 For example they have one machine for adductor and abductor, whereas other manufacturers require two for the same functions. It is as though their technical space contained twice the number of machines and had been multiplied by two. Also, the machines are compact, saving considerably more space. 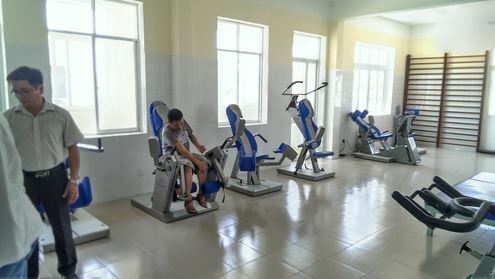 HUR has been chosen as the supplier for the ADB project, to supply exercise machines for 14 hospitals in 8 south central coastal province of Vietnam. The project aims at improving the health status of the underprivileged population in these provinces towards achieving the millennium development goals by 2015. The HUR brand has been present in the country since 2008 and in main medical facilities and sport training centers. The products are highly appreciated by medical professional and users.